Use the Power of Google to Rank Your Sh!t (RYS)! 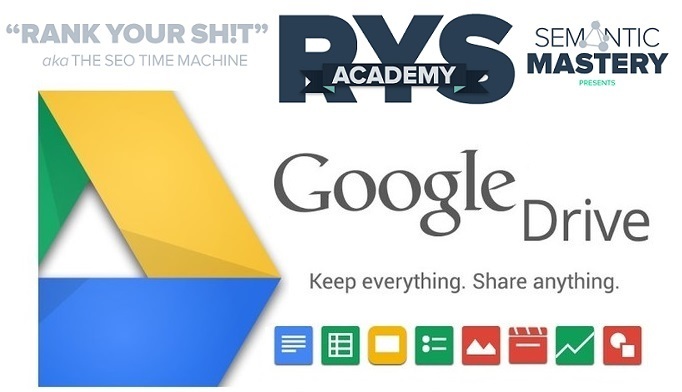 The premise of RYS is using Google properties to rank through Google Drive. Before you say, “That’s it, I could do that!” There is so much more to this course; you find that you can do so many more things with Google Drive than you ever imagined. This gig will help you do the tedious work of creating each Googl properties and then customize and optimize them according to the course. The 10 Google Properties Fully Optimized: G Drive, Doc, PDFs, Slides, Forms, Sheets, Drawings, Maps, Videos, G Sites. There are 3 different Packages you can choose from according to your needs and budget! help setup your Super Powerful RYS Strategy is ranked 5 out of 5. Based on 1 user reviews.